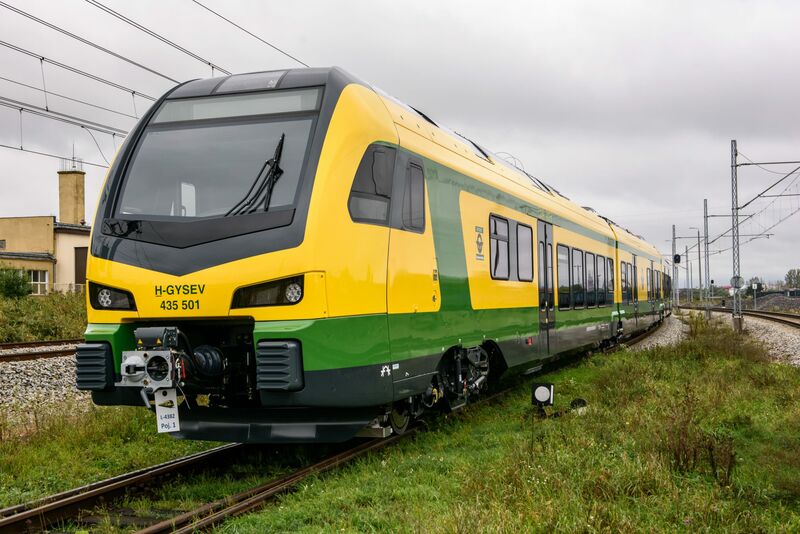 Rolling stock manufacturer Stadler will showcase FLIRT electrical multiple units (EMU) for Hungarian operator GYSEV and the Norwegian state railway (NSB) at TRAKO. At the Polish railway fair, Stadler will also present the Solaris Tramino tram for Leipzig for the first time with its joint venture partner Solaris. The order from GYSEV covers 10 four-car vehicles for use on the regional network from 2018 in western Hungary. These FLIRTs will have lower energy consumption, low-floors and come with air conditioning, CCTV, wifi and charging points. The order from NSB covers 107 trains, the majority of which will enter service in the greater Oslo areas. They will travel at a speed of up to 200km/h and have been designed with Norway’s harsh winter conditions in mind. The GYSEV and NSB FLIRTs are being built at Stadler’s Siedlce plant. TRAKO is the largest and most prestigious rail fair in Poland and the second largest meeting of the rail industry in Europe. It opens on September 26 and closes on September 29.